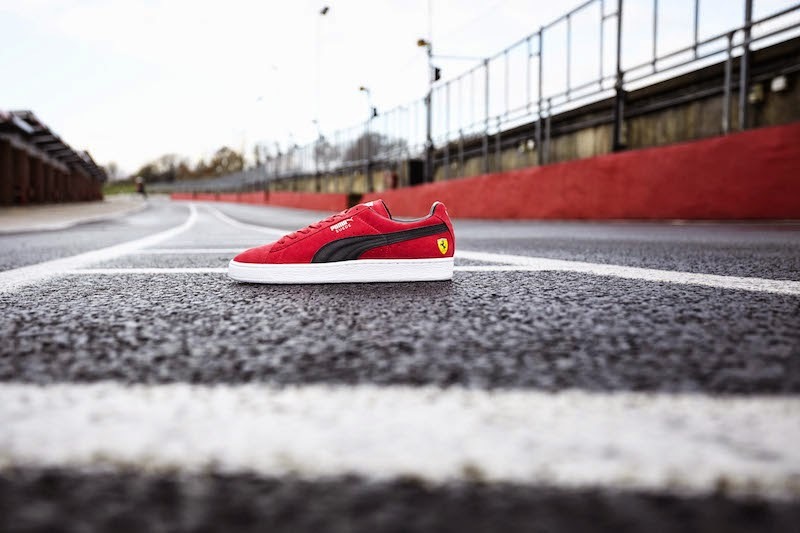 As Scuderia Ferrari counts down the days until the 2015 season starts in Melbourne, PUMA has released a collection of iconic footwear to celebrate the 10th anniversary of its partnership with Ferrari. The Ferrari Icon Collection consists of the FutureCat SF 10 and PUMA Suede Ferrari lifestyle shoes, as well as the Mobium Elite Speed Ferrari running shoe and the evoSPEED 1.3 F947 FG football boot. 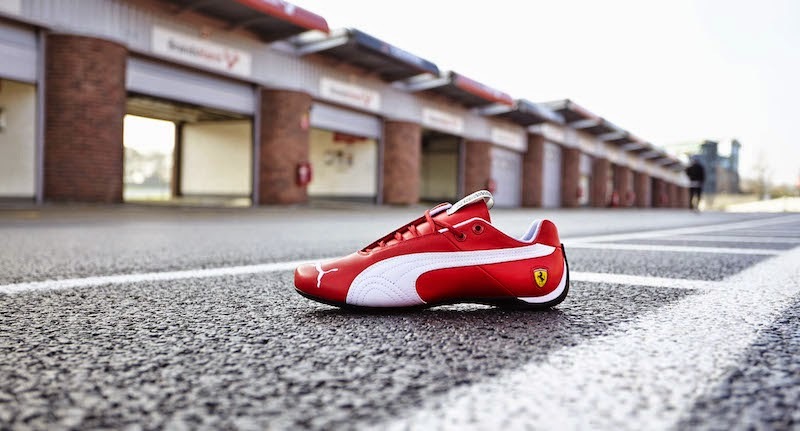 PUMA has innovated with Ferrari over the past decade to bring high performance race and team wear to the Scuderia Ferrari team, as well as Lifestyle, Fanwear and Replica styles for motorsport fans. Spearheading the new Ferrari Icon Collection is the FutureCat SF 10, a new interpretation of the much loved PUMA motorsport footwear silhouette launched in 2005 as part of PUMA’s first licensed Ferrari collection. This 10th Anniversary Partnership edition features a leather upper in Ferrari Rosso Corsa Red with the classic FutureCat tooling. It has the iconic PUMA Formstrip on the lateral side and the official Scuderia Ferrari Race Shield on the heel. The collection’s second lifestyle option is the timeless PUMA Suede, reinvented as the PUMA Suede Ferrari with a Rosso Corsa Red upper and the Scuderia Ferrari crest on the heel. The first of the performance shoes in the Ferrari Icon Collection is the Mobium Elite Speed running shoe, designed for the midfoot/forefoot striker and featuring the Mobium Band, Forefoot Expansion Pods and Windlass Chassis technologies that combine to enable faster running. Combined with its Scuderia Ferrari design, this edition oozes speed. PUMA’s ultimate speed weapon in football, the evoSPEED 1.3 F947 FG boot, rounds off the collection. The super light Scuderia Ferrari inspired boot is engineered for maximum speed. Released in a limited edition run of only 947 pairs, the boot has a classic Ferrari Rosso Corsa Red colourway and the official Scuderia Ferrari Race Shield on the front of each boot and the inner heel. The Icon Collection can be found in PUMA stores from April 2015.